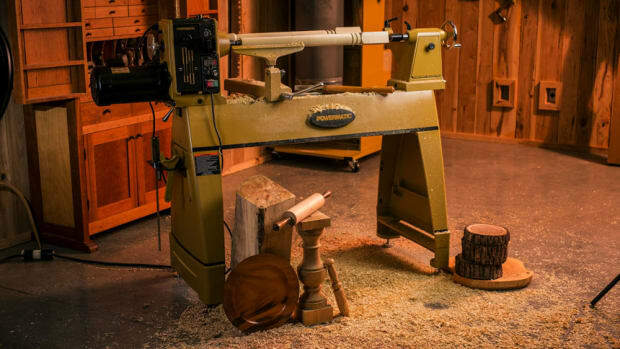 Powermatic went big with its new 4224B wood lathe. How big? It’s the largest lathe ever produced by the company that was founded in 1921. 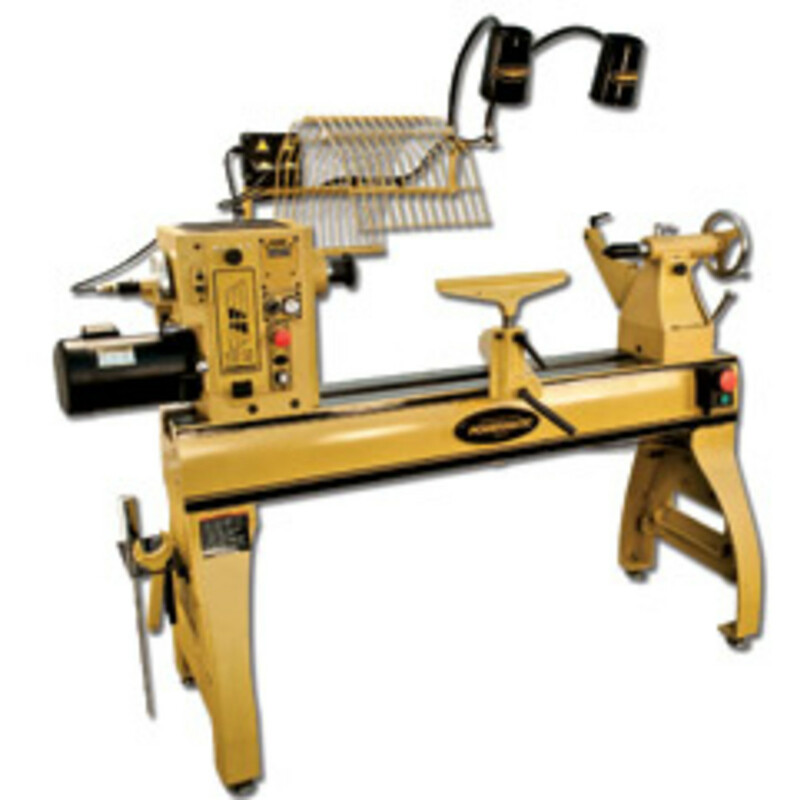 Powermatic product development director Joan Duvall says the 422B is the company’s top-of-the-line lathe. 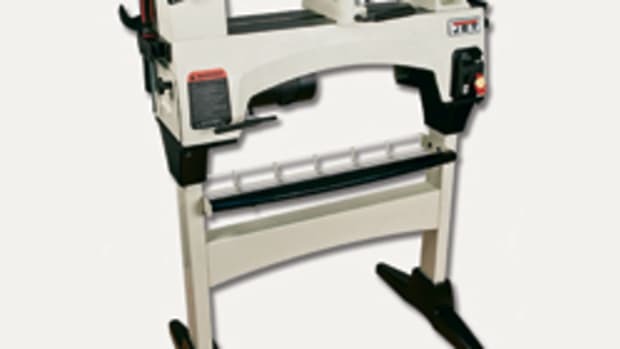 It weighs close to 950 lbs., and has an 83” overall length fully assembled, providing a 42” working distance between centers, 24” swing over the bed, and an 88” outboard turning capacity. “We had a 4224 model before and that was very successful, so we applied lots of the same features and principles to this one. But we also added whatever woodworkers had been asking for, such as optional accessories like [task] lighting, and built it right so that no modifications are needed,” says Duvall. 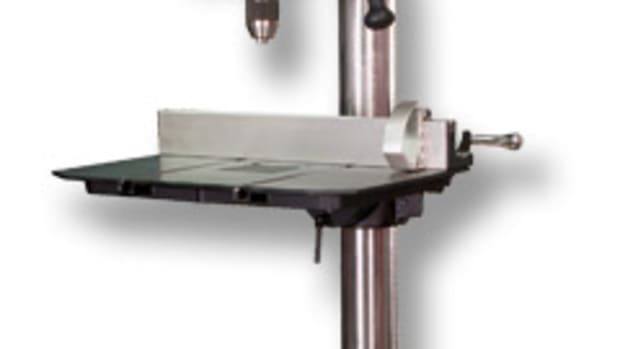 Top features include electronic variable speed control, 98-position spindle indexing on the headstock and a vacuum system for chucking bowl blanks. 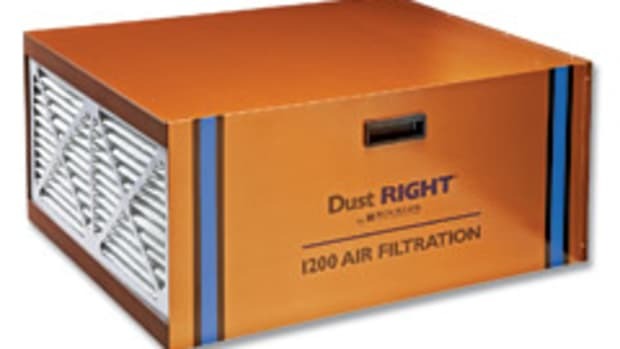 “The electronic variable speed offers a digital readout so turners can know the exact rpm they’re using. The speeds range from 40 to 3,500 rpm,” says Duvall. 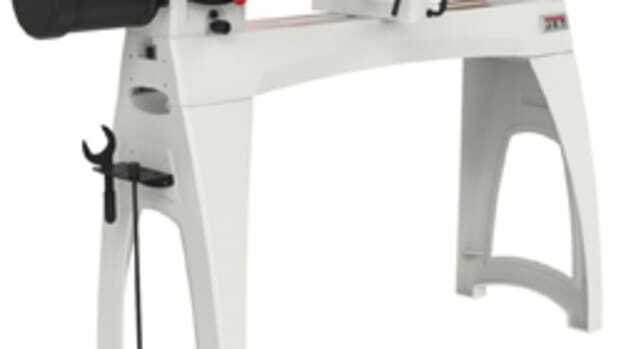 The lathe’s headstock, tailstock and legs are constructed of heavy-duty cast iron for minimal vibration. The legs are equipped with 2” diameter adjustable feet for added sturdiness. 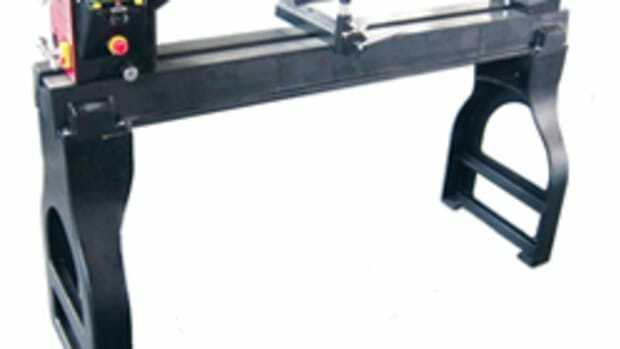 The headstock slides the full length of the bed, which facilitates outboard turning. 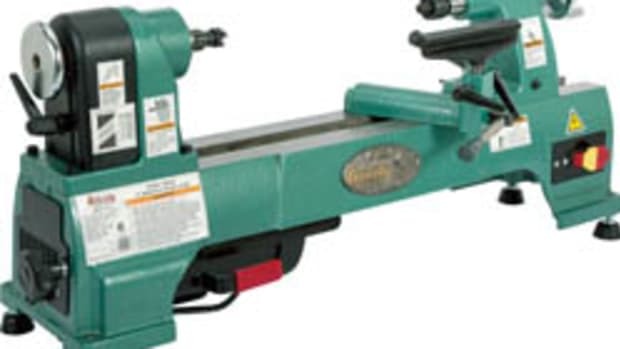 The lathe is powered by a 3-hp, 3-phase, 220-volt motor with an inverter allowing incoming power to be single phase. Powermatic has included a remote on/off switch with a magnetic base that can be moved anywhere on the machine. 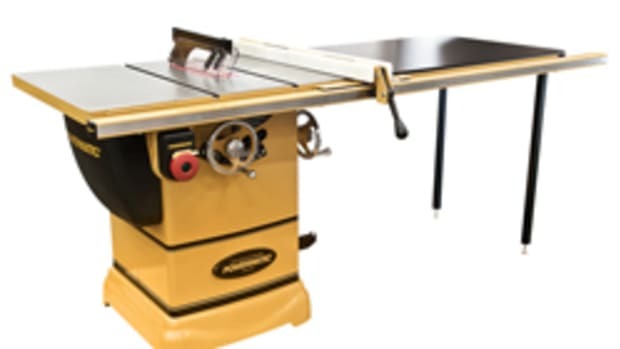 Other features include a 14” cast-iron tool rest, four 115-volt electric outlets, two 100-watt task lamps, reverse rotation, open access to the indexing system, a spindle lock that is engaged by pressing a button on the front of the headstock and a duplicator mount. The lathe sells for about $7,500. Accessories include 20” and 63” extension beds. The 20” extension bed kit provides a total capacity of 62”, a swing-away function and an elevating assist. The 63” extension bed provides a total capacity of 105”, according to Powermatic. 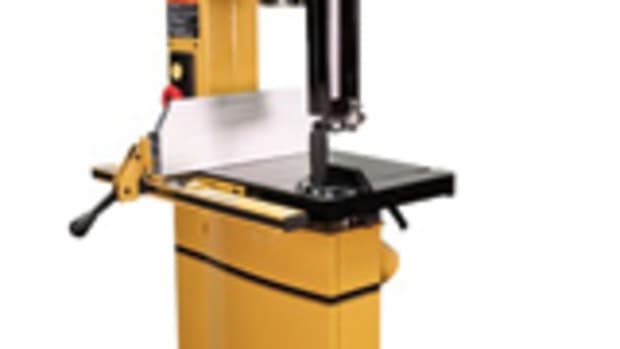 Powermatic introduces the model 3520C lathe featuring adjustable riser blocks, movable control box, ergonomic spindle lock, digital speed and indexing readout, and anti-rotation tailstock key.